Visit premium wine destinations in New York City’s famous SoHo neighborhood on a wine-tasting walking tour. 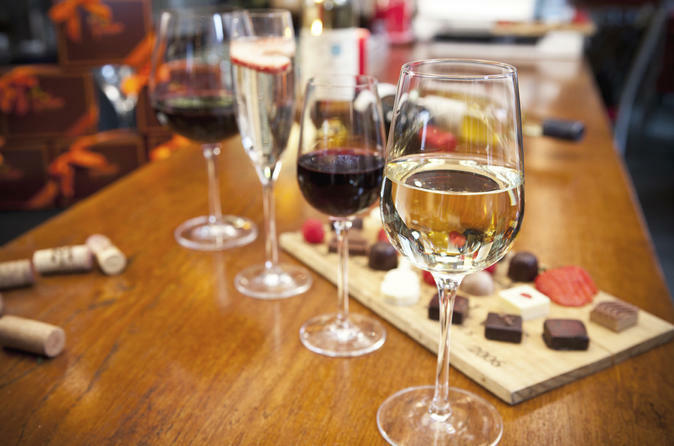 Home to famous restaurants and trendy shops, SoHo boasts excellent wine-tasting venues that you'll discover with a knowledgeable and friendly Wine Ambassador. This small-group tour is limited to 12 people to provide an intimate experience with fellow wine enthusiasts. Visit two premium wine destinations in SoHo during your wine-tasting walking tour. At each stop, sample world-class wines matched with delicious cuisine while your expert guide and winemaker hosts share tips on selecting, tasting and pairing wines. Enjoy customized attention as you discover great restaurants and wine shops and learn about wine history. Get the inside scoop on how to find good values on a restaurant wine list, and even how to ask for a discount!